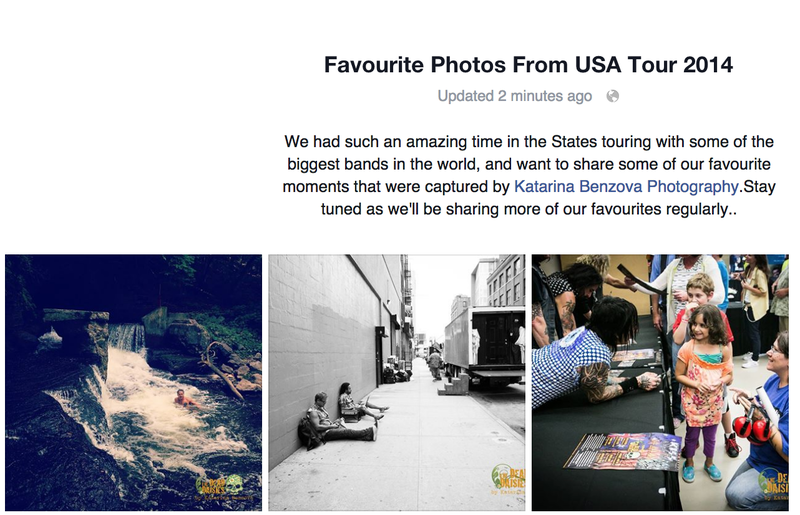 We had such an amazing time in the States touring with some of the biggest bands in the world, and want to share some of our favourite moments that were captured by our photographer, Katarina Benzova. We’ve created a new gallery on Facebook, where we’ll be posting these moments so make sure you drop by to see them… we’d also love to see your favourite moments from any of our shows. Post them on our wall! CLICK the image below to check out the gallery on Facebook!